It's been over two decades since Arsenal had a new manager to take them into the North London derby. Kevin Hatchard expects a tight and tactical tussle. "Arsenal have put together a long unbeaten run, while Spurs are consistently winning on the road. These two excellent teams could cancel each other out." For the first time in 22 years, the North London derby won't feature Arsene Wenger, but while the Frenchman's mark on Arsenal remains indelible, his successor Unai Emery has made a highly impressive start to his reign at the Emirates. The Spaniard's relentless drive and microscopic attention to detail (his love of video analysis is evidenced by the giant screen he's had installed in the dressing room) have helped lift the Gunners to fifth in the table, three points behind Tottenham. Arsenal have qualified for the last 32 of the Europa League as group winners, they have set up a League Cup quarter-final with Spurs, and they have put together an 18-match unbeaten run in all competitions. There are still defensive issues to solve (Arsenal have the worst defensive record in the top six), but there is a new-found steel about the Gunners. For example, they have already won as many Premier League away games this season as they managed in the whole of last term. 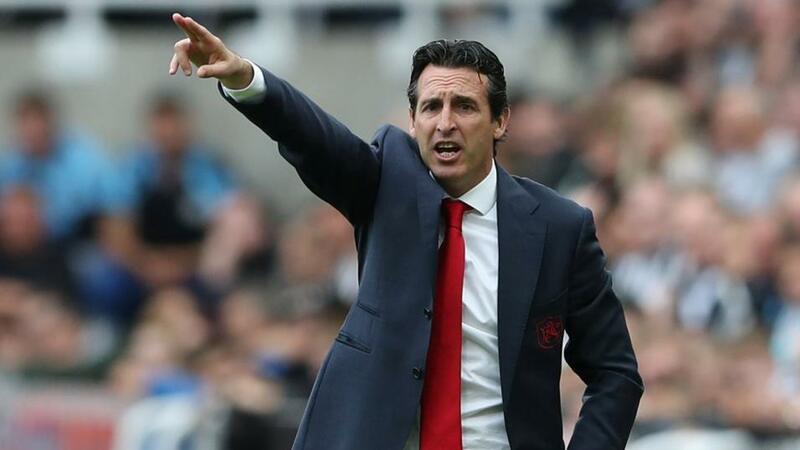 Emery says he wants to create new history in this fixture, and is confident that his team can give Tottenham a few problems with their energy and by getting the fans involved. Arsenal's home form has tailed off a little though - they have drawn their last three matches at the Emirates, including league games against Liverpool and Wolves. Playmaker Mesut Ozil is pushing for a recall after he was benched for the recent win at Bournemouth, while striker Alexandre Lacazette is racing to be fit after a groin injury. In the Frenchman's absence, Pierre-Emerick Aubameyang netted the winner at the Vitality Stadium, his first goal since late October. There is a lot of common ground and mutual respect between Tottenham boss Mauricio Pochettino and his Arsenal counterpart Unai Emery. They met while observing the work of Marcelo Bielsa when he was Chile boss, and have remained firm friends ever since, so much so that Emery recommended Pochettino to Valencia as a potential successor when he left the Mestalla. Pochettino isn't the type to allow friendships to interfere with his work though, and he knows just how vital this game is. Spurs have had a superb week, sweeping aside Chelsea 3-1 in the Premier League and edging out inter Milan in a must-win Champions League encounter. Now they must try to maintain that momentum and attempt to close the five-point gap that exists between them and the Premier League leaders Manchester City. Pochettino has generally helped Spurs wrest control of this fixture from Arsenal. The Opta stats show that Tottenham have lost just one of their last eight Premier League clashes with the Gunners, although that was the most recent trip to the Emirates. Indeed, Tottenham rarely conquer their bitter rivals on their own patch - they have won one just one of their last 25 league visits to Arsenal, and that victory was back in November 2010. Argentinian defender Juan Foyth is back in contention after he missed the Inter game due to ineligibility, while Jan Vertonghen could play his first league game since September. Christian Eriksen was a match-winning sub on Wednesday at Wembley, and fitness-permitting he will start. This could be a case of the unstoppable force meeting the immovable object - Arsenal haven't lost since mid-August, while Spurs are on a high after those superb wins over Chelsea and Inter, and have won their last five Premier League away games. Spurs' record at the Emirates is poor in terms of victories, and it's interesting that six of their eight PL away games have been decided by the odd goal, so they've mostly been close. Arsenal have drawn their last three home matches, the team has rediscovered a real backbone under Emery, and I don't think they'll lose. I'll back the draw here at [3.7]. Both sides have found the net in seven of Spurs' 13 Premier League matches this term, while a BTTS bet has paid out in Arsenal's last six top-flight outings. It's therefore no surprise to see Both Teams To Score trading at a skinny [1.51], while Over 2.5 Goals is available at [1.63]. The Opta stats says that games between Arsenal and Spurs have seen both teams score more often than any other match-up in the Premier League's history. Given that I'm recommending the draw, you might consider using the Correct Score market, and backing 1-1 at [8.4] or 2-2 at [12.5]. It's no surprise that Spurs' star striker Harry Kane is shorter than evens to score in 90 minutes. He has scored in six of his seven Premier League appearances against Arsenal, so it makes sense for him to be trading at [1.86]. Wednesday's matchwinner Christian Eriksen is trading at [4.4]. Aubameyang has scored ten goals in all competitions this term, and is [2.22] to find the net. If you want to use the Same Game Multi feature on the Sportsbook you could back a draw and Harry Kane to score at combined odds of 7.61.